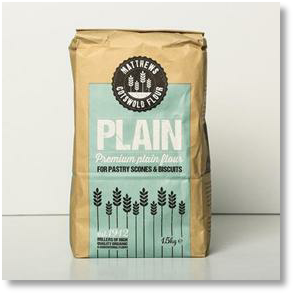 The plain white flour, with a multi-purpose use, is milled from a blend of the highest quality soft wheats to a fine consistency and rich in flavour. 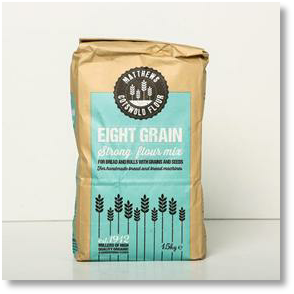 This flour can be used for making pastry, cakes, shortbreads, sauces and many more delicious sweet and savoury products. 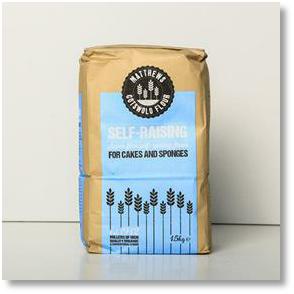 The white self raising flour is ideal for producing the perfect light and springy cakes, and for general use. We blend a variety of high quality soft wheats, adding baking powder to be mixed consistently throughout the flour, to produce the ideal ratio of flour and raising agent. 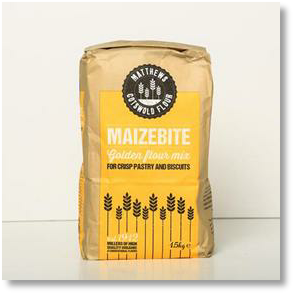 A blend of plain flour and maize flour to give a crisp golden coloured pastry, particularly suitable for sweet products. 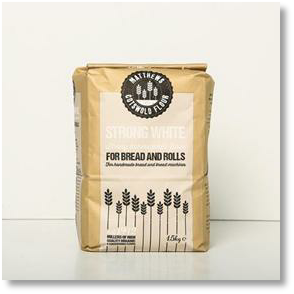 A bakers' grade strong, white flour suitable for bread and rolls. A good, all-round flour for a range of products. 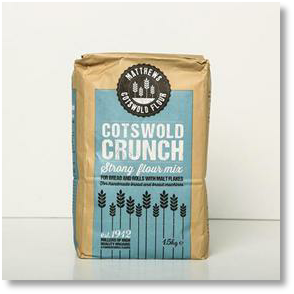 Our conventional roller ground wholemeal flour is a premium grade, 100% extraction wholemeal flour with an exceptionally high protein level. 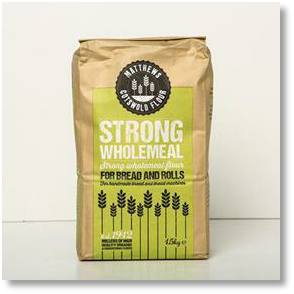 This flour is suitable for the baking of tasty wholemeal bread loaves and rolls. 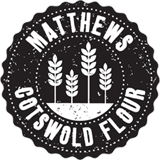 FWP Matthews Ltd is one of the few remaining independent , family owned flour mills in the UK. The business traces its history back to the 1860s when farmer Marmaduke Matthews began trading in corn and seeds from his barn in the Cotswold village of Fifield in Oxfordshire. His son, Frederick Matthews, and grandson, Frederick William Powell Matthews moved the business a few miles to the picturesque village of Shipton-under-Wychwood and decided to build a flour mill next to the railway station to produce the biscuit flour for despatch by train. The mill was completed in 1912 and today produces a wide range of high quality flours for customers all over the UK and beyond. The business is owned and managed by Paul and Graham Matthews, great, great grandsons of the founder. They produce a wide range of flours and we have selected those which we think will be most popular with our customers.